The Outlaw Bible Student (OBS) wants everyone to know that their data will be treated with privacy and respect. The personal data we collect is only what the viewer inputs when filling out a form, so we want you to know that we view this data as private, except for any public comments left intentionally. Below is listed the forms available on our site and it explains what the data is used for and how we handle it. Also, all internet Networks and Hosts collect technical data, which is beyond the control of a web site owner. This collecting is world-wide for all internet connected devices and some of that data collected is shared, so we believe you should know what it is. This website is compliant with the 2018 European Union GDPR regulation. OBS does not use any kind of tracking elements on our pages. We do not ask for any special permissions on our site. We do not accept or display any kind of advertising. Therefore, no commercial “cookies” are stored on your computer. 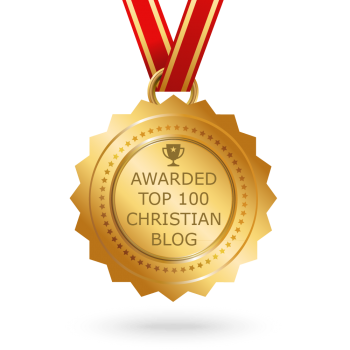 Our website is designed to present accurate Bible-related educational information only. There are some links to some other websites, such as references listed at the end of articles or links to other blog sites or social media sites. These links will take you off our site, and as with all such links, we have no control over data collection at other websites. Age Requirements: If under the age of 13, or the age of majority in your country, you may use this website only with the consent of a parent or guardian. Please be aware that, although the majority of posts found on this website are for general audiences, there may be certain controversial, mature, or adult content. If you are under 13, or the age of majority in your area, do not provide personal information without the permission of a parent or guardian. 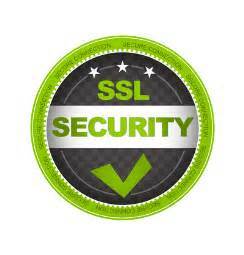 This website is secured with SSL-encrypted connections to keep your communications protected. If you send a message through this form, we will collect your name or user name, email address, and comment or message. Your name and email address stay private – we do not give, trade, share, publicly display, or sell them. We may contact you using this information, unless you request us not to do so. If you send a message through this form, OBS will collect your name or user name, email address, and confession or prayer request. Your name and email address stay private – they are not given away, traded, shared, displayed, or sold. Your prayer and/or confession stays completely private and is for Reverend Ray Hermann’s eyes only. For your protection, Rev. Ray will NOT contact you, UNLESS you plainly state that an email response is welcome. If you send an article or post comment through this form, we will collect your name or user name, email address, URL (if supplied), and comment or message. Your name or user name, URL (if supplied), and comment may be displayed in the comment section of the page for anyone to read, but your email address will NOT be displayed. We do not give, trade, share, display, or sell your email address to anyone. As a convenience, we do have an opt-in provision that will save your name, email address, and website URL (if supplied) for future use. All information is SAVED IN YOUR INTERNET BROWSER ON YOUR COMPUTER; no information is sent over the internet to us or anyone else. This feature will fill-in these items so you do not have to repeatedly enter them each time you make a comment on our site. You must opt-in by checking (ticking) the box under the comment section. If you send a message through this form, we will collect your name or user name, and email address. The subscriber will receive an email asking to verify the newsletter subscription request. This double opt-in is designed to protect you and is required by law in many countries to confirm the will of the subscriber by having him/her give consent two times before the actual service starts. The PRINT button will only print the selected article on your computer’s printer. No data is collected. The PDF button will only save the article file to your computer. No data is collected. The EMAIL button will only allow you to send information of the article to any email address you wish. No email addresses or other data is collected. We collect no personal data, or social user addresses. These links are only for your convenience to easily share articles and pages with friends, family, and other contacts. World-wide Network and Host organizations all collect technical data, some of which is made available to us. Most of what they collect is information for establishing the digital pathways for connection of devices to sites on the world wide web. The information they share with us does not include any personal information about the viewer, but does provide general statistical data, protocol addresses, device types, etc. Data such as the number of viewers from various geographic regions is useful by providing us with general ideas of what countries our world-wide viewers reside in and the total number of visitors that come to our site, etc. For more information, additional details, and legal disclaimers, please see the other pages listed under “The Fine Print” on the top menu bar.